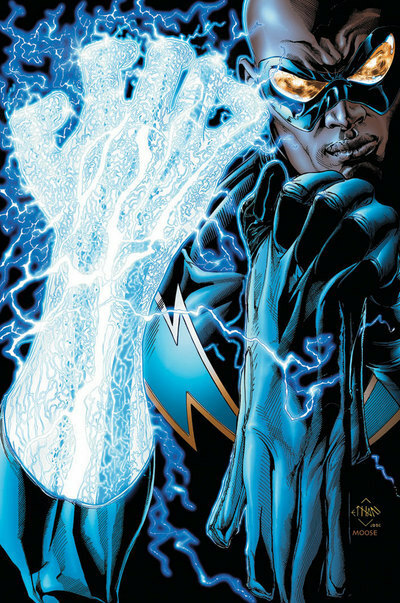 BLACK LIGHTNING: Jefferson Pierce first appeared in Black Lightning #1. (1977). He was a former Olympic Athlete and school teacher with the power to generate, manipulate, and magnify electricity. Initially his powers came from a belt he wore but comic continuity changed and he is now to have been born with these abilities. He has been known to create force fields and even fly by using his powers. He was initially invited to join the Justice League but turned them down. He later became a member of Batman’s team, the Outsiders but ultimately joined the Justice League some time later. He has appeared in television and movies multiple times (only in animated form), as well as in video games. 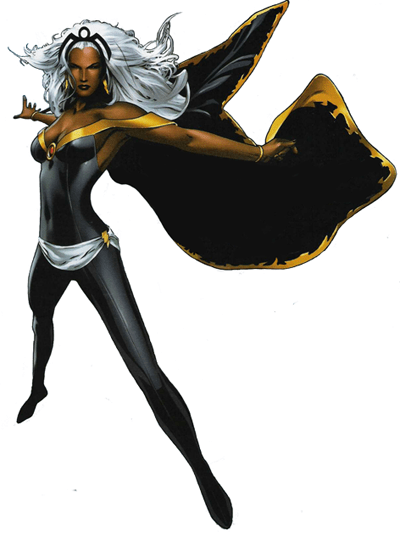 STORM: Ororo Munroe is a mutant born with the power to control the weather. She first appeared in Giant-Size X-Men #1 (May 1975). While her powers are clearly not limited to lighting, she uses it to good effect and frequently uses the lightning bolt motif as part of her costume. 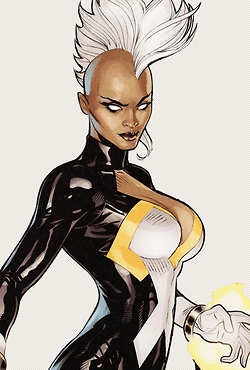 Storm is the daughter of a Kenyan Princess and American photojournalist. She was born in Harlem but the family later moved to Egypt where misfortune happened and Storm was orphaned. She became a young street thief but through her journey later became a queen and possibly a goddess. She is a member of the X-Men. The character has been in both the small screen in animated form and the big screen in live action as well as multiple video games. STATIC: Virgil Hawkins was doused with an experimental chemical during some gang wars he got mixed up in. The result granted him various electromagnetic powers. 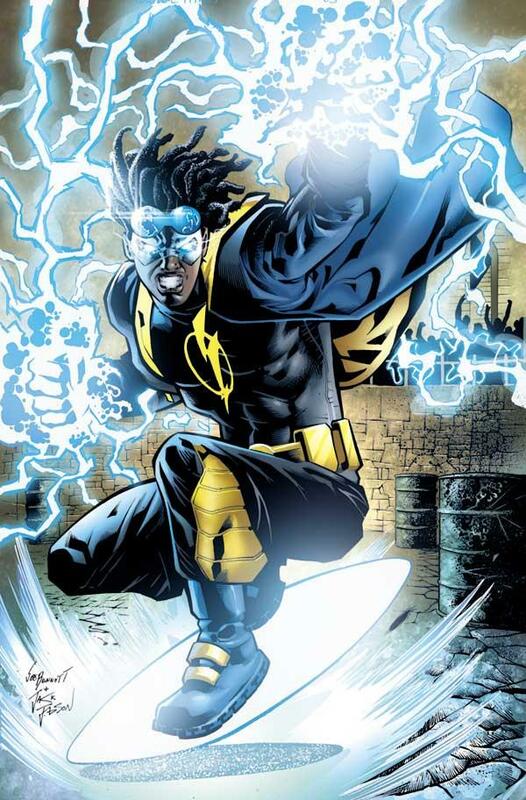 He has displayed abilities related to both electricity and magnetism though his costume, name, and appearance have him appear to have more of an affinity for the former. The character first appeared in Static #1 (June 1993). Static was a key character of Milestone Comics, an independently-owned imprint of DC Comics. Like Spider-Man he is a young man dealing with challenges of power and responsibility. Static has appeared in comics, animation, and video games. The character has been linked to the Teen Titans in the comics and to Batman, Young Justice, and the Justice League in various animated series. BLACK VULCAN: Real name unknown. This character was created for television, specifically for the Super Friends as their only African-American member. His first appearance was in The All-New Super Friends Hour in 1978. 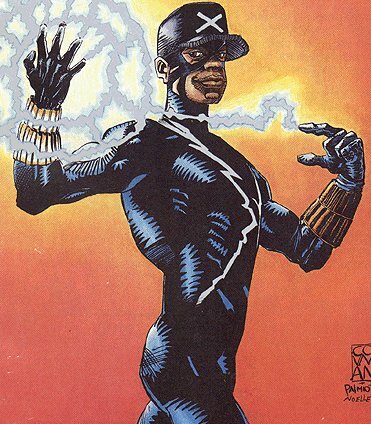 Originally the series was to star Black Lighting but due to disputes with the creator of that character he was not available. Black Vulcan has no back story, origin, or known real identity but he was a regular active member of the Super Friends. On the cartoon show he displayed electricity related abilities like shooting lightning from his hands, flight, movement at the speed of light, becoming pure energy and even travelling through time. There have been a few attempts to bring the character into the DC Comic book universe proper but none have yet to amount to anything. Being a Saturday morning cartoon regular, he is likely the first view of an African-American superhero to many viewers. Honorable mentions: Coldcast, Jakeem Thunder, Volt, Azari, and Lightning. Did I forget anyone I should have included? Let me know in the comments.